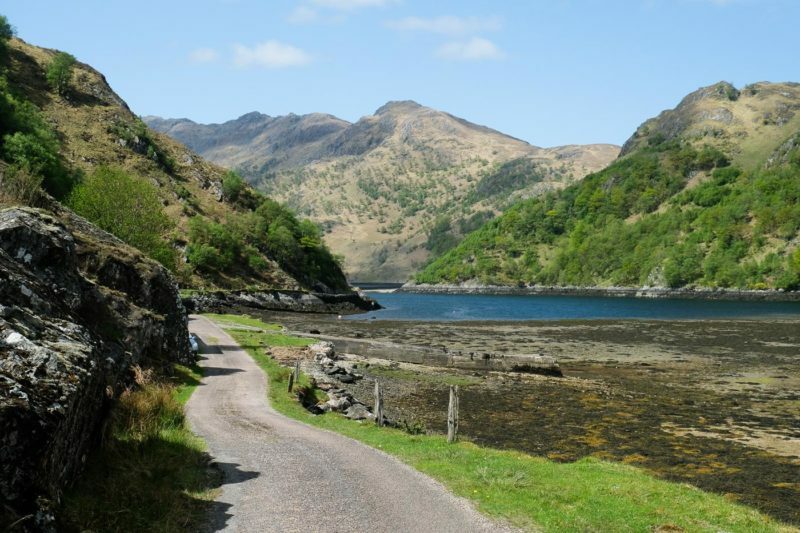 Highland Council has confirmed that the road to Kinloch Hourn is not likely to be re-opened until the middle of 2019 following a massive landslip in November. The road gives access to a number of Munros and Corbetts as well as the path to Barrisdale Bay from Kinloch Hourn. Over nine thousand tonnes of soil and rock swept down the slope just before the Loch Quoich dam on 10 November blocking the Glen Garry road that leads to Kinloch Hourn. The landslip took out the main power supply to Skye and most of the island was without power for a day. Work will have to be undertaken to stablise the slope, which is composed of heather and grass with no shrubs or trees, before the debris blocking the road can be restored. A short section of by-pass road suitable only for ATVs has been set up for residents to ferry items in and out but there is no access for any general public vehicles.